Katelyn Hemmeke, Judy Lee and Jiwon Park, the winners of free tickets to N3Con 2018. Capping off the event with the annual Korean News Trivia night, we gave away the biggest prize yet — free conference tickets to N3Con 2018, to be held May 25-27 in Hong Kong. AAJA Seoul also announced its 2018 subchapter board. 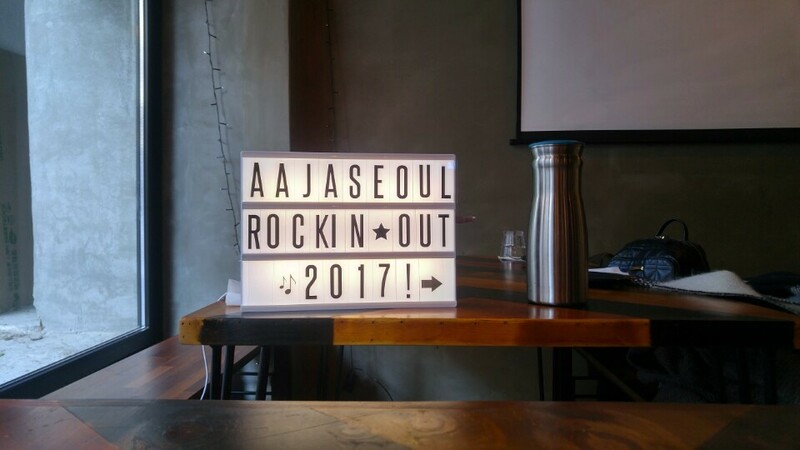 Happy holidays, from AAJA Seoul!